I have to convert in Hex (Exmple: #000301), it's possible? But if i delete all shader command the result it's the same, it's the STRETCHSPRITE command which has the effect C64 style! I test with other .frag but the result don't change. but not work on Android (i not test on iphone). Gif is great for create animated presentation (example for Logo). I want to give you a few questions on collisions! there is a function to calculate the collision between two triangles?? 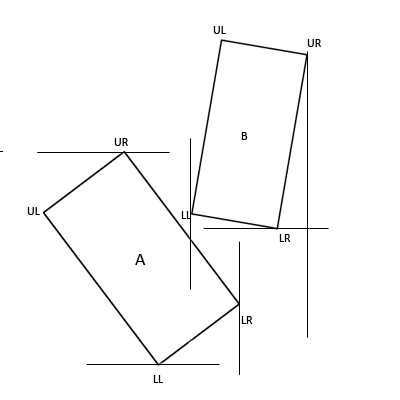 there is a function to calculate the collision between two rotated rectangles? and if I want to use the shape collisions? The problem is the black line that is created when approached two tile that are not Px2 Texture. 1) if ISMUSICPLAYING() = TRUE then STOPMUSIC the music dosn't stop! 3) PLAYSOUND(num%, pan#, volume#) with WAV don't work, what format should I use? But the game run i portrait ... WHY? In Win 7/8/8.1 and Android the game work fine. I test with game downloaded from iTunes, and all game works fine! I test a simple demo of GLB and work fine. GLBasic - en / Gl_B 12.243 What's new? What's new in version 12.243 ? I can not update directly from the IDE of glb! There are bugs in the new version? There is a thread that talks about this update? It's very strange result, i think the "|" separator lock the encrypt conversion! But when i use a file .sbx and start the game, the problem is seems not erase from memory the last file loaded! If I use the folder (without command SETSHOEBOX) all Work Fine! I have to Pack all File (images and Music) Plese Help me! It's true or it's an error? I use DOESFILEEXIST() but it tells me that the file does not exist. but the file not found! I compile for Mac, and GL_B create a folder Game.app. But the game don't start. On Win Vista-7-8 and 8.1 and Android the game run fine!